I used to watch Invader Zim…very weird, but good. OR BE CRUSHED, BE CRUSHED, BY, HIS JOLLY BOOTS OF DOOM. If I am elected president…Dib’s head will be….REMOVED!!! and filled with….SALTED NUTSSS!!! It’s not stupid, it’s advanced. 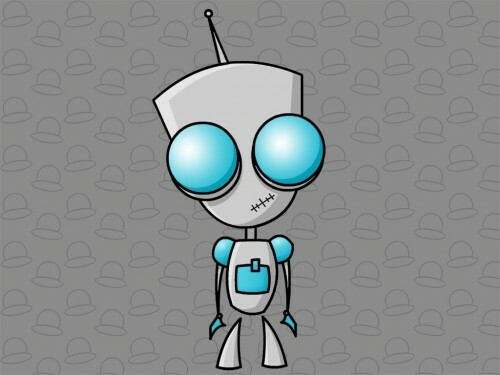 Gir! Do you realize what this means! ?